Image courtesy of: Nintendo of America, Inc.
Nintendo’s legendary game designer Shigeru Miyamoto, best known for creating iconic games like Super Mario Bros., Donkey Kong, The Legend of Zelda, Star Fox, and Pikmin series — was spotted at E3 2014 finally trying out the Oculus Rift virtual reality headset. And while this moment sent the internet buzzing on what creative possibilities Nintendo could potentially bring to table as a VR platform, it seems Miyamoto may have some initial reservation on fully embracing virtual reality gaming quite yet. In an interview with Time, Miyamoto did express Nintendo’s interest in VR technology and the possibilities of what it can do, however he went on to say how Nintendo’s focus is more on creating an experience for everyone in the living room, rather than a single-user experience that virtual reality, at least for now, is geared more towards. Nintendo is no stranger to exploring virtual reality, as a means for gaming. 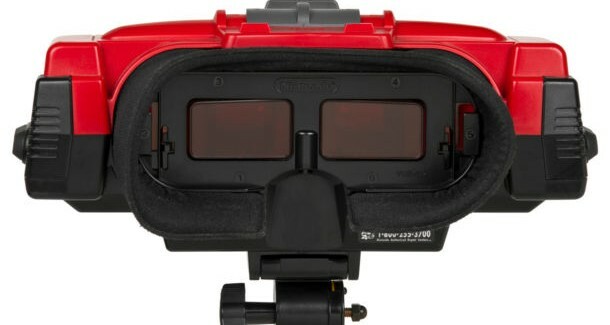 In 1995, Nintendo released its infamous Virtual Boy headset, which unfortunately was not a success amongst gamers. And while the technology has vastly improved over the last 20 years, perhaps Nintendo is approaching VR with a sense of caution this time around after lessons learned from their first attempt. Can we expect Nintendo to jump into the VR bandwagon with a revival of a Virtual Boy 2.0? If they do, it probably won’t happen anytime soon.